18.08.2016. Rio de Janeiro, Brazil. 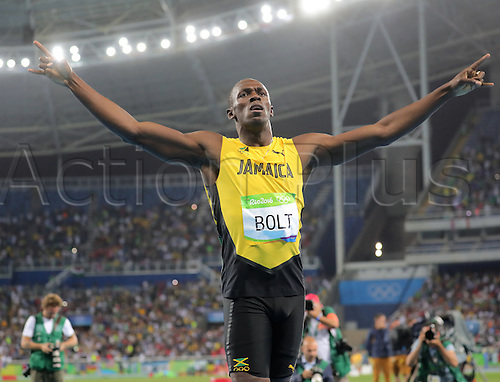 Usain Bolt of Jamaica celebrates after winning the Men's 200m Final of the Olympic Games 2016 Athletic, Track and Field events at Olympic Stadium during the Rio 2016 Olympic Games in Rio de Janeiro, Brazil, 18 August 2016.